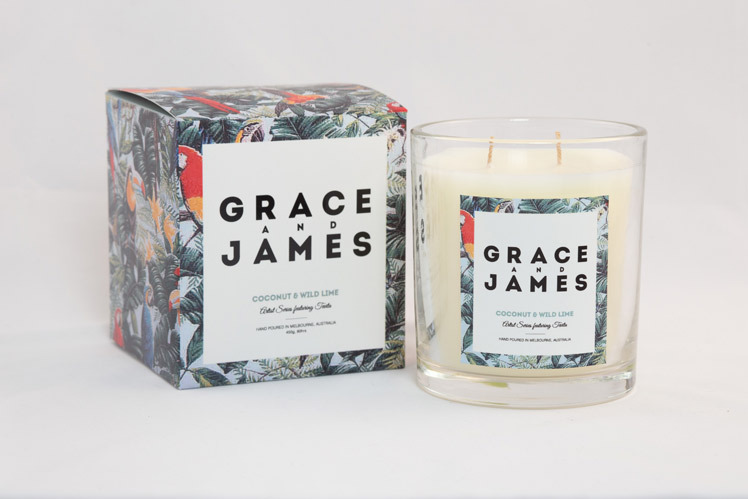 FK chats to Emma of lifestyle label, Grace and James, inspired by Emma’s love of homewares, art, and an obsession with candles. 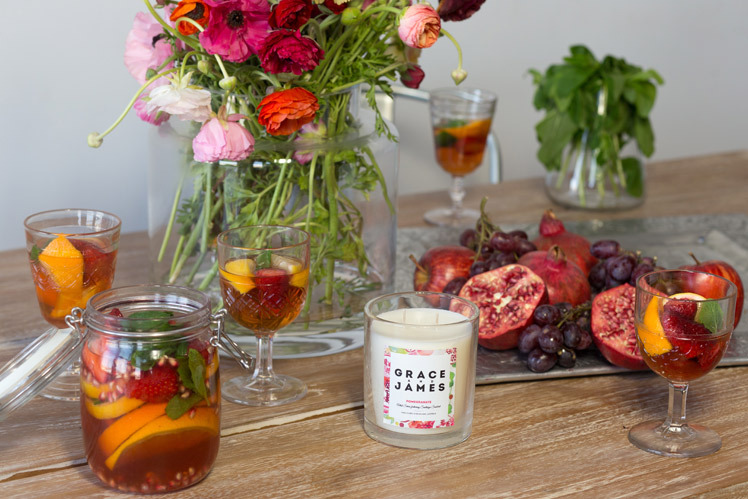 Experience these gorgeous scents at our Melbourne AW14 Market! 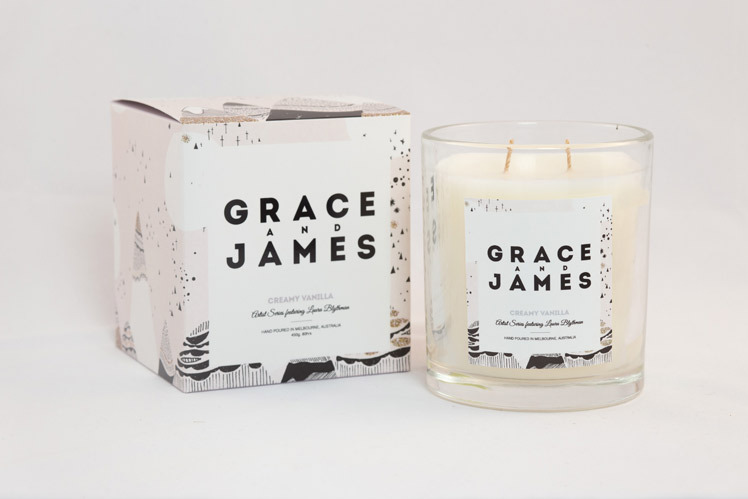 Tell us about your label Grace and James and what the concept is behind it? We’re a Melbourne based boutique lifestyle brand dedicated to delivering something fresh, new and good for the soul. 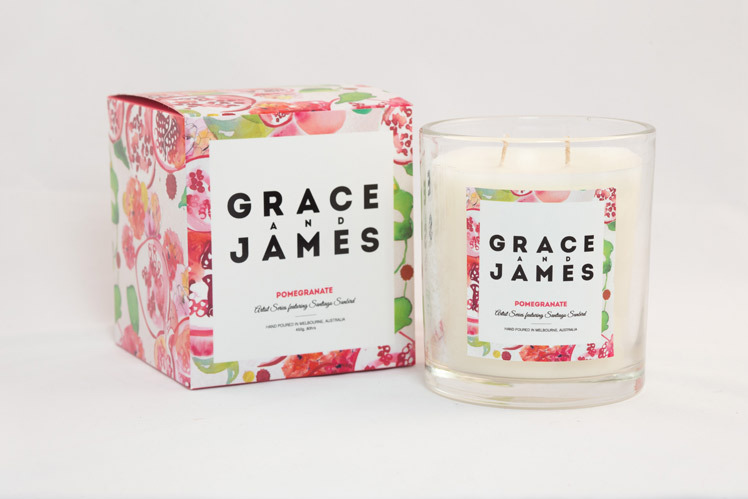 Our candles are an all natural soy and coconut oil blend with 100% cotton wicks. 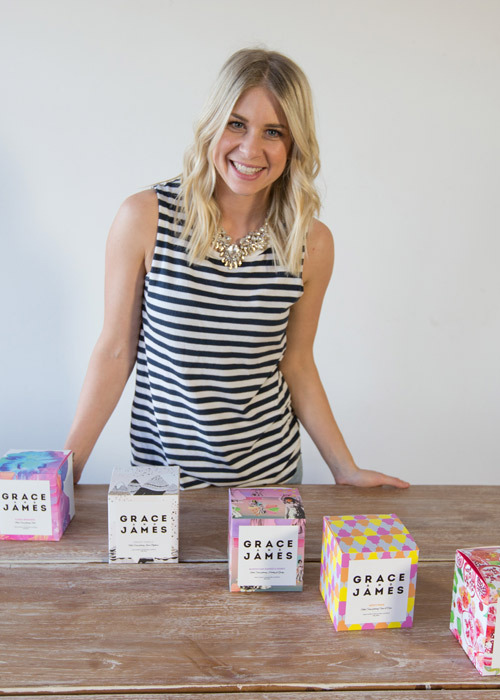 The concept was to bring something that had a signature Melbourne flavour to the market, the artwork on each of the boxes were designed by local Melbourne artists and designers to bring out the personality behind each scent. They were given complete free reign to bring the scents to life and I think the first impression you get when you see them is one of complete joy and happiness. The scents and the designs are distinctively different to anything out there and they burn for over 80 hours. What more could you want! Who are the team behind Grace and James and what are their roles? I started Grace and James on my own, but it wasn’t without the help of my family and friends. When you’re first starting out you employ your family to help as much as you can, and mine loves to be involved (so far). My Uncle John, Dad and sometimes even my Grandpa manage the packing, deliveries and distribution, I work with the amazing Lucy Glade-Wright on all our branding and design and everything else is basically me. I manage all the stockists, publicity, social media, orders and new product development. I think the reaction so far has inspired me to keep the momentum going. I’ve been so lucky to receive a great response to the product and it’s because of the incredible people I’ve had the opportunity to work with. I’m always researching and on the look out for inspiration for new products. We also welcome feedback! 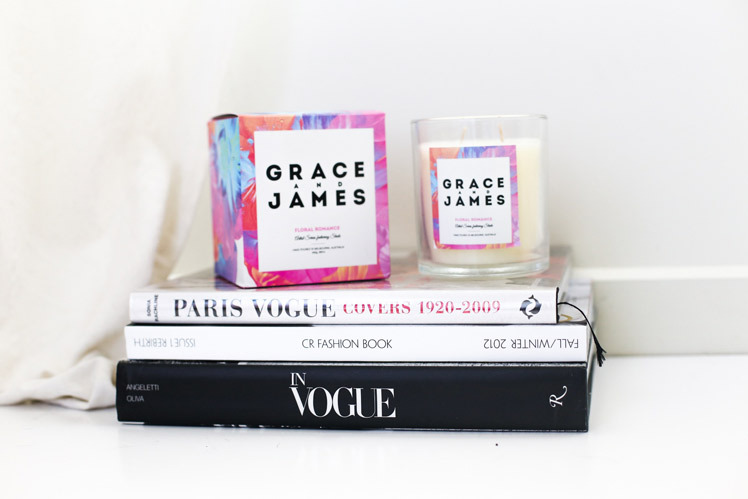 Candles are definitely an extension of people’s style and it’s important for us to also be an expression of style too, from scents to design and quality so I’m always on the look out for inspiration through travel, design and fashion. My workspace is literally anywhere my laptop is. I work from home in the beautiful suburb of Parkdale, right opposite the beach which is amazing. So I’m often either in my office which is a little cove upstairs or I’m at the kitchen table. Our factory where the candles are poured is local to the area and they’re packed and shipped by my beautiful Uncle from my garage. I love white, mixed with colour so I try to keep my space very minimal and of course, there is always a candle burning. The challenges are all those little things you didn’t think of, but that’s also the empowering and rewarding part when you start to see yourself achieving things you weren’t an expert on 12 or even 6 months ago. One thing I would tell everyone out there who is thinking of starting their own business is to not be fearful of the journey and do lots of research. If you equip yourself with the knowledge and resources then you are far more likely to be able to deal with all the road bumps along the way. I love that I’m seeing something grow and I love it when people send in photos of their candle and how they’ve styled it. What new projects are you working on and where would you like to see Grace and James in the future? I’m currently in the very early stages of planning the next product, researching and speaking with our stockists about what customers are looking for. I’m also always trialing and testing new scents so hopefully that will be coming to you soon! Stay tuned.